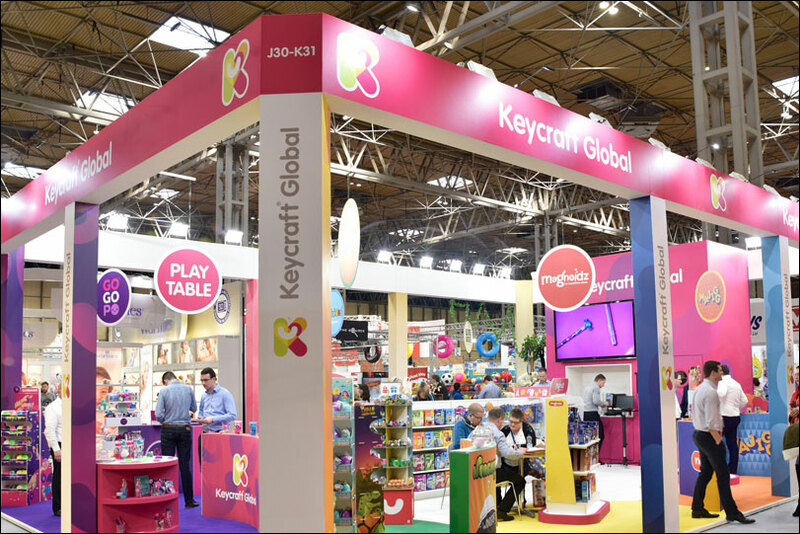 Events play an important business development role for Keycraft, who partner with retailers around the world to create commercial opportunities with toys. 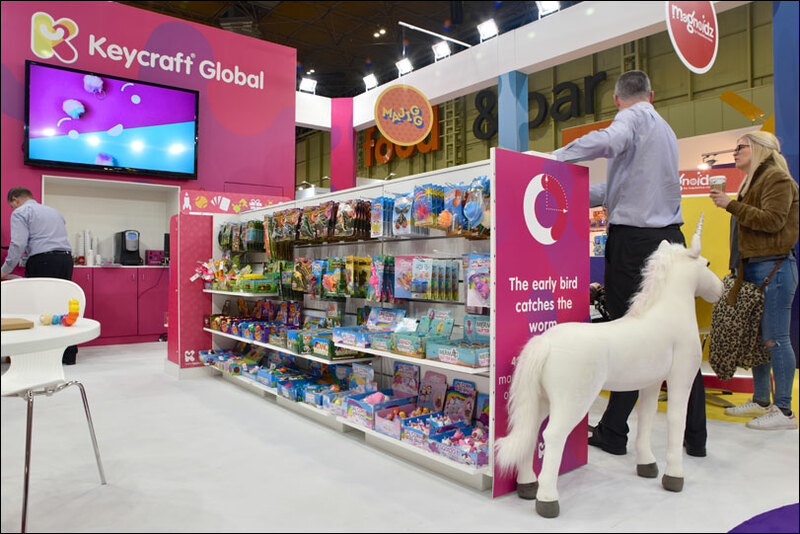 And showcasing their range of new brands and best-selling children’s products was a crucial element of their growth plans. To achieve maximum effectiveness, they chose to gain the advantages offered by Merit 360°, our unique approach to powering exhibition projects. It blends strategic marketing insight and consultancy with build and design excellence and project management expertise. Identify the key metrics to measure and how these change depending on the type of event. Create a process to record, track, and analyse the results to prove ROI. Train staff on how to get the required results. Increase the way we interact and engage the visitors with the brand and products. Understand the importance of hospitality to the visitors and create a way to include this on the stand in an effective way. To create a more effective stand layout, which increases flow and supports the brand structure. Create an effective pre-show and post-show promotion campaign. 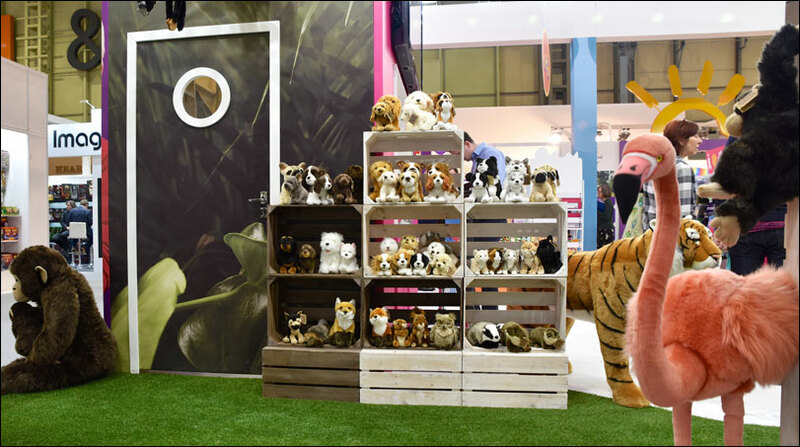 Have activities during the show that contribute towards the complete promotion programme for each stand. Introduce a way of encouraging VIP visitors to use the stand. Explore opportunities for other events that Keycraft could attend, including own shows and smaller industry leader type events. Find a way to improve the global logistics for the Keycraft exhibition programme. To have a better understanding of competitors’ activity at shows. To help meet the objectives, we conducted comprehensive research and analysis before providing a range of recommendations using the findings and our extensive experience of achieving success at events and exhibitions. The development of customer personas. 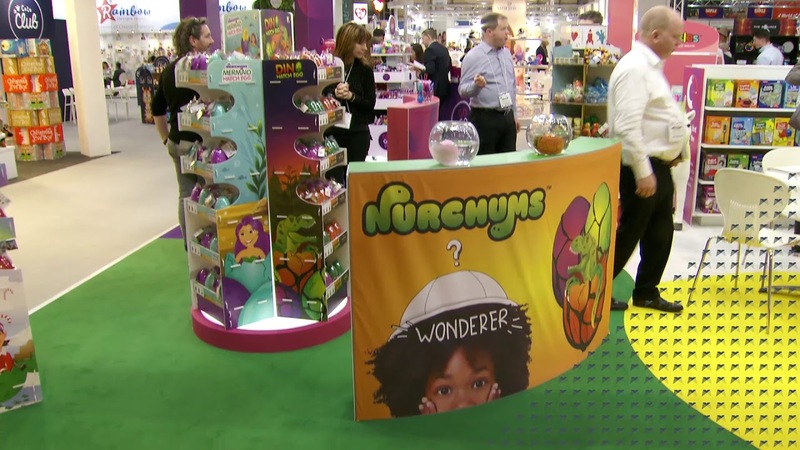 Identification of trade show opportunities. Identification of the best metrics to measure ROI. Development of an ROI calculator. We also provided a range of recommendations related to social media and other promotional activity, data capture methodology, stand design and layout, and the best means of engaging with visitors. The Merit 360 process particularly helped Keycraft to enhance interaction with customers. 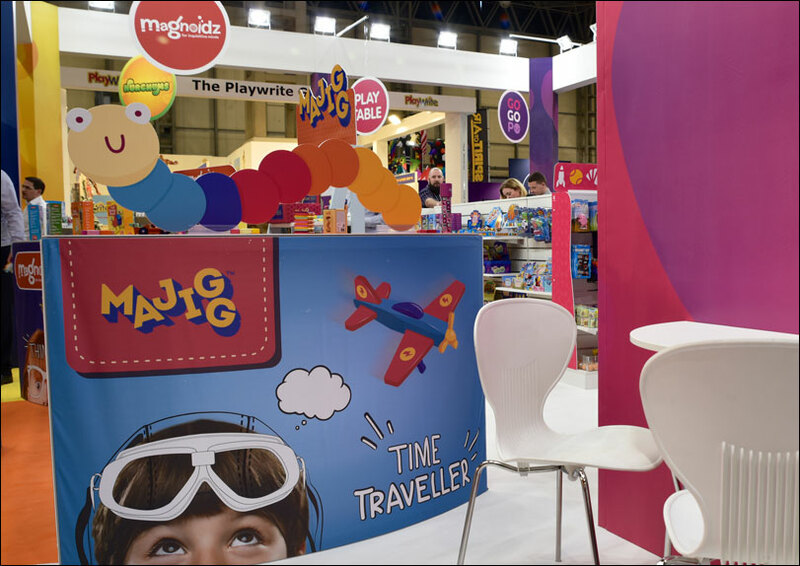 Our ideas and recommendations also made a big difference to the layout and the design of the stand. For example, we proposed a vertical tiered structure to the Keycraft branding to better engage with visitors. Leads from types of retailers. Orders taken at the event. We also developed an ROI calculator to enable the data to be accurately interpreted.